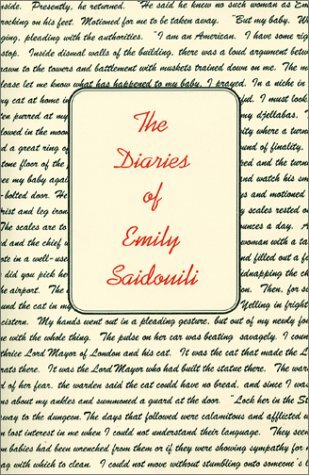 The Diaries of Emily Saidouili is an honest, intriguing and heartfelt look into marriage, love, children, and life from the eyes of an American woman in a foreign country. Author Bettye Givens personal experience in Morocco during the 1980's prompted her to write this novel about a romance that extends across two countries and two cultures. After earning a Bachelor of Fine Arts from Wayland Baptist University, Bettye Hammer Givens received a MFA in Writing from Vermont College in Montpelier. She has contributed to or directed a large number of literary workshops and projects in England, France, Russia, and Morocco where her work was translated. One of Givens' poems was printed in THE TEXAS ANTHOLOGY, edited by Paul Ruffin. The Italian Minister of Culture presented her the Literary Prize in Poesie. In August 2000 she was appointed Poet Laureate Woman of Letters in Pampanga, Philippines. Her non-fiction has appeared in "The Christian Science Monitor," "The Texas Review" "The Pawn Review," and Paris Atlantic. She has published fiction in "The American Way" "riversedge," "Toth-Maatian Review" and other literary magazines both here and abroad. A short story, "French Landlady" was the quarterly finalist in the Moondance Film Festival in Boulder, Colorado where she taught a class on creativity. Another short story, "Tea With Mr. Bowles," won the 2000 PEN Texas Fiction Award. Since 1984 she has been director of the Summer in France Writing Workshop at Paris American Academy. The author of THE DIARIES OF EMILY SAIDOUILI is married and lives near Plainview, Texas.